Warriors of the Rainbow and Qituvituaq Litchard! “Q” Escaping Alaska! Qituvituaq Litchard helped me understand one question that I have had for a long long time! I am going to quote “Q” directly from our e-mail conversation (yes, I asked permission). Indulge me while I give you a “feel” for this Alaskan Inupiaq Shaman – I am so thankful and blessed to have “Q” as a friend! 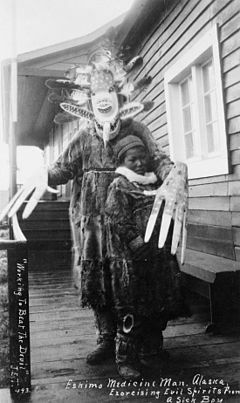 anyway my mom is one of the last Inupiaqs who had the traditional way of passing on shamanic powers done, because it was illegal and considered satanic by the white people and Christianity, i’m sure you have heard plenty of stories similar. The Inupiaq shamans have a lot in common with the skinwalkers you talked about on a radio interview i heard with you, they can become animals or half animals. This was still common when white people came but the white people put a end to it and now its all underground and secret. anyways, i think it would be good for my mom to meet other cultures’ shaman who do healing also. I would be interested in seeing the similarities and differences. NOW TO MY SPECIFIC QUESTION – Why was I able to see and experience/see all these different other dimensional entities and powers more clearly on the Navajo Reservation? because your physical body becomes part of the energy around you, it seeps into you and becomes part of your flesh. in the Navajo rez you were circled with more of the powers of whatever spirit was there and it became part of you, and when you left it slowly left you. when my mom was born her grandmother did a shamanic ceremony on her, rubbed rabbit furs on her hands so she would be a healer, and did a buncha other stuff that i don’t know the details of. the point of the ceremony is to put the powers of the animals spiritual qualities into the person, to make her part of that attribute to open her body and soul up to it. i have shamanic powers because i was born from a shaman, the powers from her are transferred physically to this world, if you are born from someone with bad spirit, or bad problems like anger or whatever. or a happy person, those powers will pass to you too – that spirit will become part of your body and soul. u know the native cleansing ceremony? with a shell and sage? that plant purifies the negative… if you want to get in touch you have to purify yourself of whatever, and add back the qualities of whatever you are missing to be more in tuned with it. this reality is real, but im sure there is a infinite amount of realities that are real, when people are skinwalkers they use the animals hide and spiritual attributes to manifest their bodies to be one with the animal, and u seen with your own eyes that this weird science is real. Blessing Brother – washing my hands in salt as I move forward! Thank you once again for sharing your story Hos. 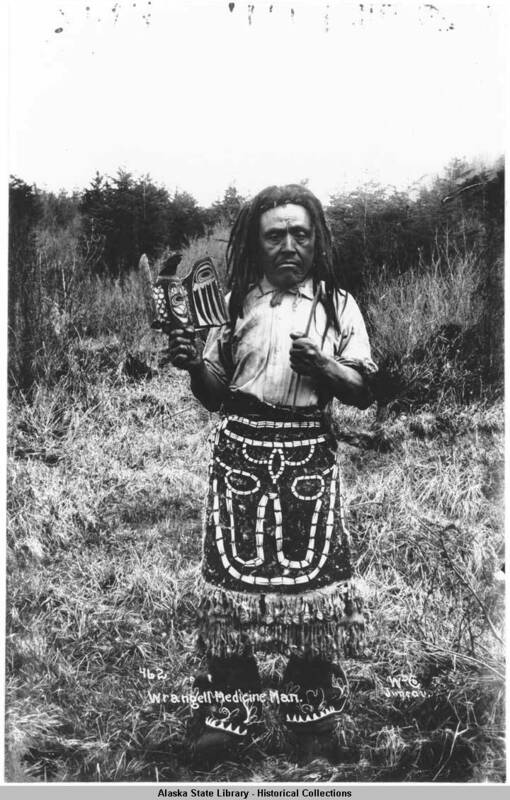 Warrior of the Rainbow… that’s a lovely term for the few white people who understand the Native ways. Thanks for that, I’ll be storing that in my memory banks. Yeah you can actually read up on the warriors of the rainbow, Its from native prophecy. Oh yeah and its not just white people, its all races that will be part of the warriors of the rainbow. The 4 corners prophecy says all the cultures have to combine into 1 for the world to have peace, and until it does it will be off balance and have problems. Right on brother – I knew what ya meant! and the salt is workin well!